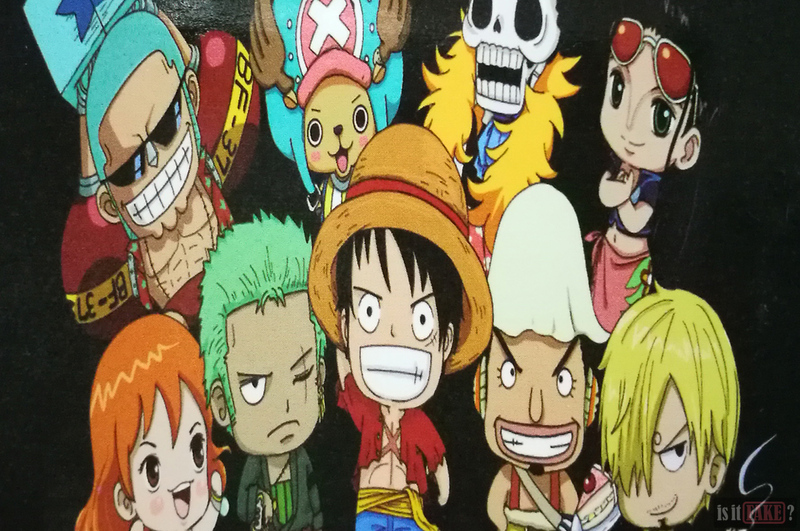 To call One Piece an anime and manga phenomenon would be an understatement; the franchise has also transformed into the machine that generates a never-ending stream of merchandise for fans all over the world to consume. Indeed, Luffy and his Straw Hat Pirates have become ubiquitous among hobbyists thanks to more than a dozen licensed product manufacturers, the most prolific among them Banpresto, Bandai, and Megahouse. Of course, One Piece’s success has attracted real-life pirates like sharks to a drowning man. 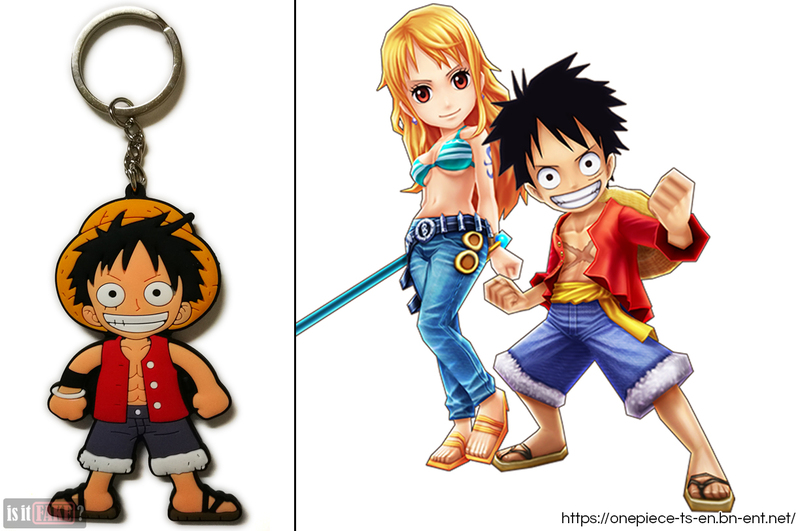 While some of them have taken to creating bootleg versions of the more luxury items, such as figures, others have focused on smaller knickknacks, such as the One Piece Luffy keychain that is the subject of this article. 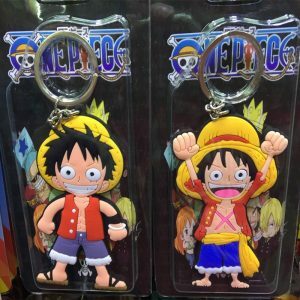 The internet is home to unscrupulous sellers whose shops abound in unauthorized products based on beloved franchises such as One Piece. 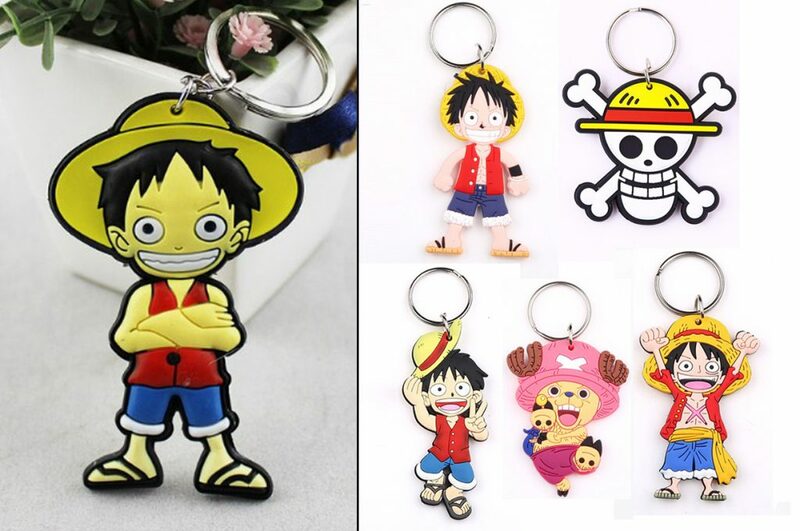 From one such seller, we spotted a number of suspicious-looking Luffy keychains, such as those pictured on the right. Here’s the first sign that what we’re dealing with are fakes: these items are only available in suspicious online stores, most of them of Chinese origin. 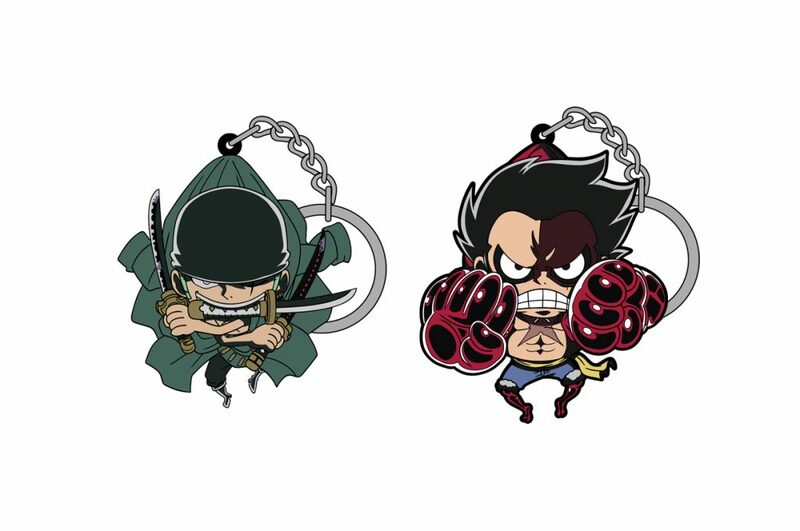 Secondly, the “brand” of these keychains is listed as WJCES. We’ve scoured the internet for any information on this “organization,” but we’ve yet to come up with anything substantial. Lastly, there’s no evidence that licensed product manufacturers such as Banpresto, Bandai, and Megahouse ever produced such items. You therefore won’t find these products in online stores dedicated to selling products from said manufacturers. We decided to purchase one of the keychains to further our investigation into these WJCES items. At first glance, there doesn’t seem to be anything off about this product. 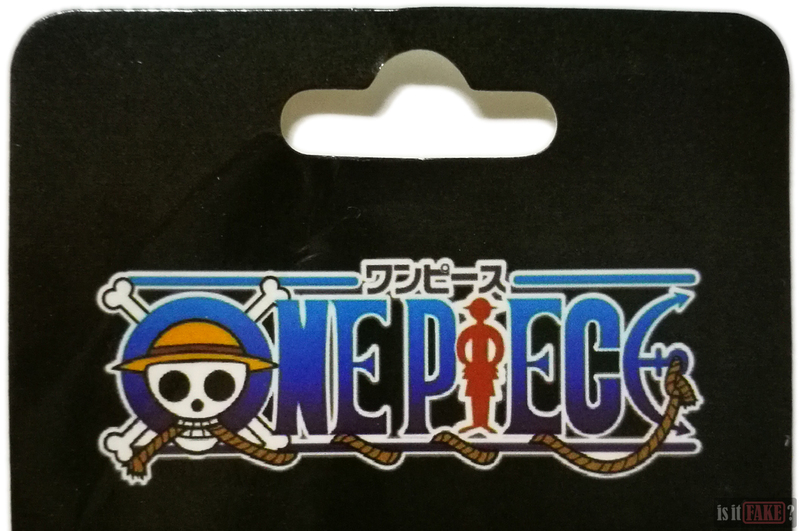 If you take a closer look at the packaging, however, you’ll notice a distinct lack of any branding aside from the One Piece title and logo. You’ll find no information about the keychain manufacturer and distributor. There’s no company logo, address, phone number, or website link. There’s also no mention of any licensing, no respect given to its manga publisher (Shueisha) or the animation studio responsible for churning out hundreds of One Piece episodes (Toei Animation). Legitimate manufacturers are aware that small items can be swallowed by children. You’d therefore expect a keychain to come with an age restriction as a warning to parents. 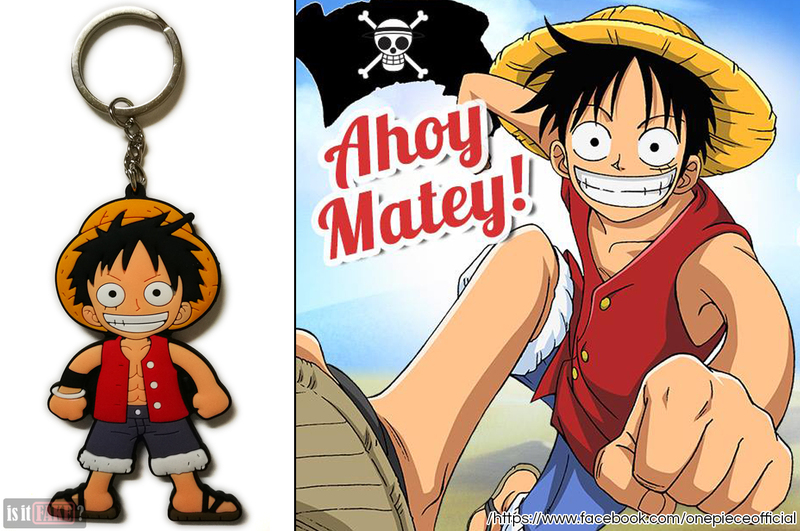 However, this Luffy keychain gives no such warnings. As for the barcode on the back? Scanning it with any barcode app will direct you to Pokemon-related items. It has nothing to do with One Piece. Slipping the cardboard from the plastic cover revealed more peculiarities. With its crooked sides and random dents, the plastic cover itself is fairly ugly. The print quality of the images adorning the cardboard is also substandard, with muted colors and dull lines. The main graphic of the Straw Hat Pirates even appears squashed. The keychain is double-sided, with the front and back sides serving as mirrors of each other. Not counting the chain, it measures 8cm tall and a paltry 0.4cm thick. 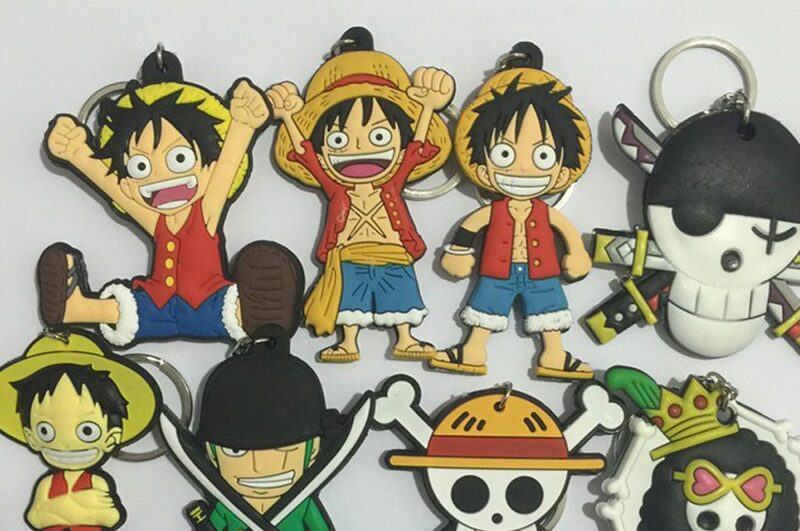 Luffy may be rubbery in the anime, but as a WJCES keychain, he’s exceptionally soft. This makes his 0.4cm thickness that much more worrying. 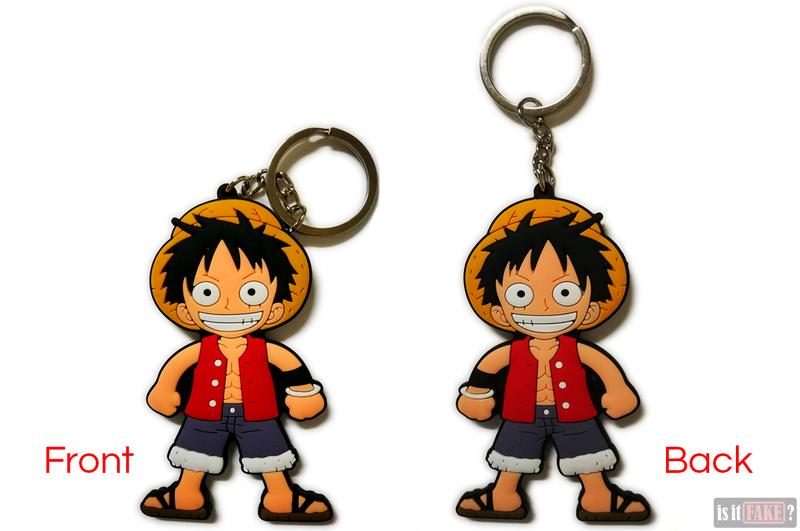 As keys and any attached keychains are often stored in pockets, bags, or any other cramped places, WJCES Luffy’s flimsy material could be easily warped or even torn. He is particularly bendy around the neck, so any rugged handling could decapitate him easily. The chain itself could be ripped from the loop on top of the hat with little effort. The paintjob is also inconsistent. 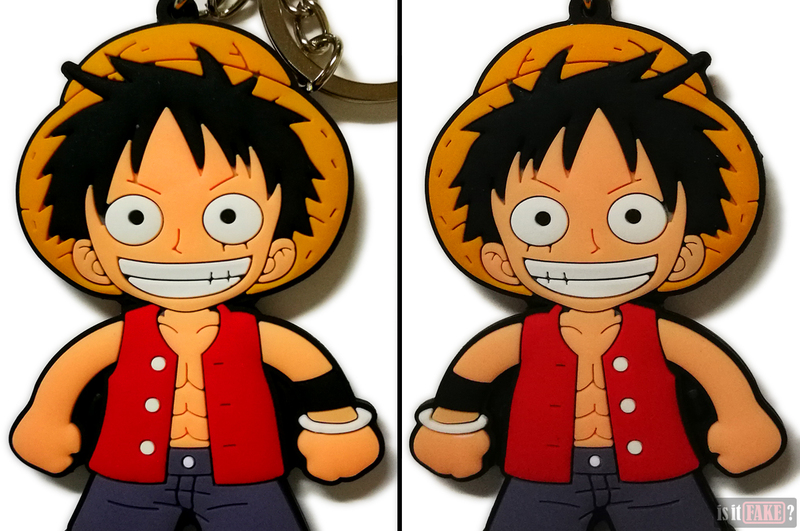 Luffy’s eyebrows lack deep blacks, so that when viewed from some angles, he appears to have no eyebrows. You can see a lack of paint in some of the finer details, such as the tips of his hair. There are also unsightly webs of dark, uncut plastic connecting his arms to the sides of his upper torso. The fake Luffy also differs from the anime Luffy in a variety of ways. 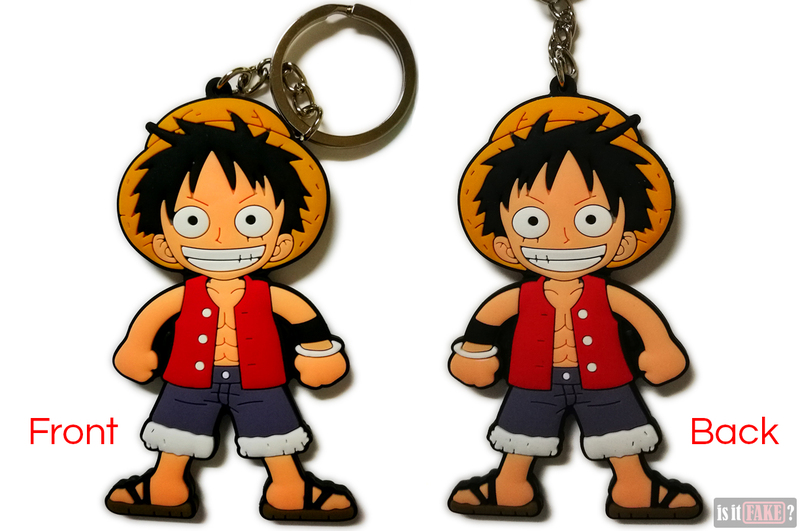 Most noticeably, fake Luffy’s colors are somewhat darker. His hat has an orange tint, whereas anime Luffy’s hat is generally yellowish/straw-colored. Fake Luffy’s shirt and pants are also darker. 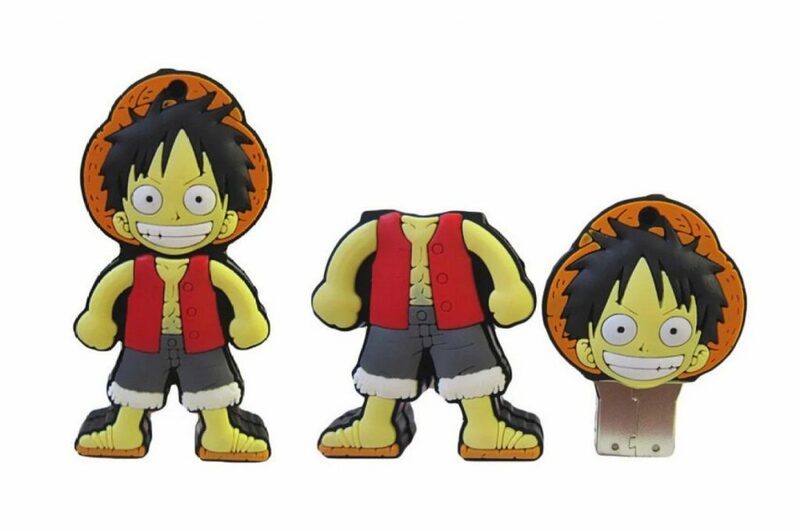 Fake Luffy also has slightly darker skin. While it would be realistic for Luffy to have a tan because of all the days he spends at sea, the fact is he is portrayed as having pale skin in the anime. 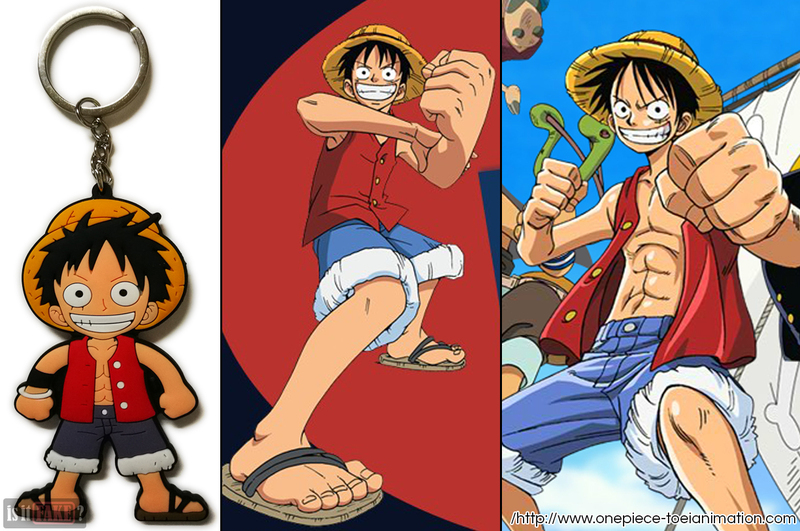 Anime Luffy’s costume has changed over the course of many years, but the buttons on his shirt have always been yellow, not white as seen on fake Luffy’s. Last but not least, fake Luffy lacks real Luffy’s trademark cheek scar. After scouring the net, we found numerous other fake variants of the same design. There are other designs, too, and some of them aren’t even keychains. But there is one thing these bootlegs have in common: they all look like poor, inaccurate representations of the character. 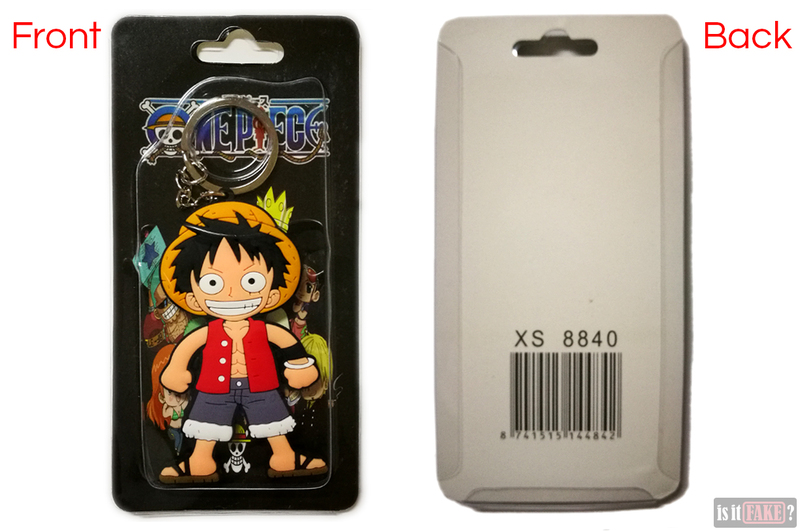 An official One Piece merchandise manufacturer will always ensure its products are represented as accurately as possible. 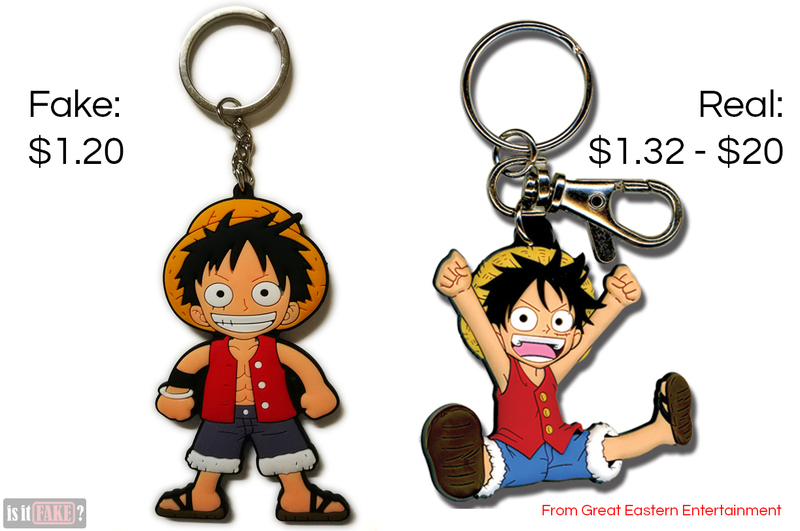 See this for yourself in our comparison between WJCES’s Luffy keychain and Great Eastern Entertainment’s Luffy keychain below. 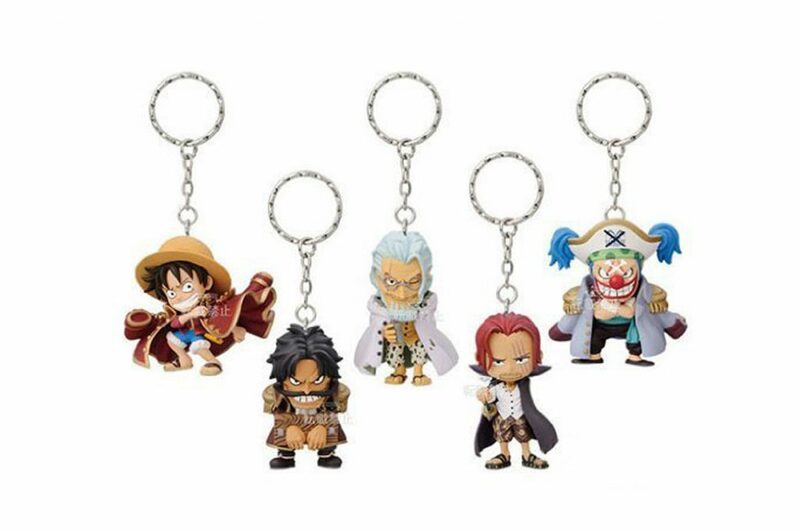 In sharp contrast to WJCES’ fake Luffy keychain, you can expect licensed One Piece keychains to be of real value for your money. They’re made of durable material, from pvc to metal, so you don’t have to worry about treating them extra gently. They also boast excellent paint jobs, with zero slop or any inconsistencies in quality. A majority of them come cheap, costing between $1.32 and $20. However, there are also far more expensive varieties, priced from $67 to over $100. It’s crucial to do some background research about an online store and/or sellers before purchasing anything from them. Chinese websites often sell counterfeit products, so it’s best to stay away from those unless you’re sure they’re totally legit. The best way to ensure the product you’re interested in is 100% real is to find out if its manufacturer/distributor is authorized to produce such an item. We’ve already mentioned renowned Japanese companies such Banpresto, Bandai, and Megahouse, but there are several others. For example, from the USA, we have Great Eastern Entertainment, a well-known manufacturer of anime items. 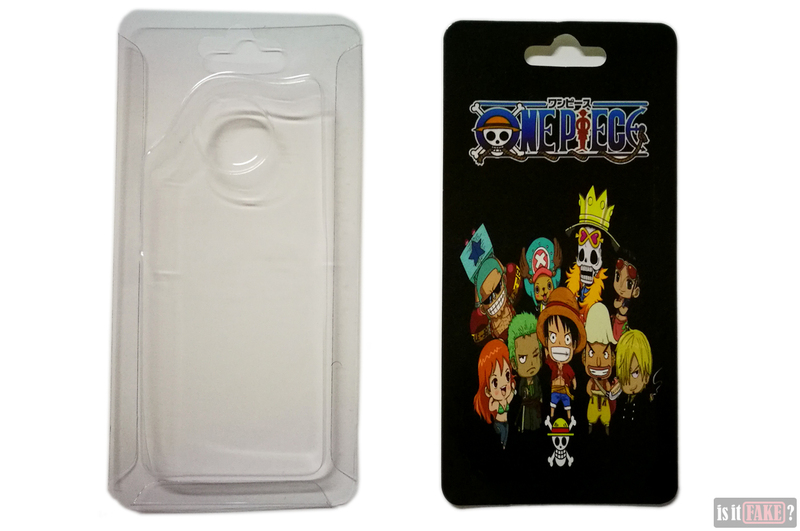 Another is the European company Abysse Corp, which has also produced a number of One Piece merchandise. You can find some of these items on Amazon or Amazon Japan. 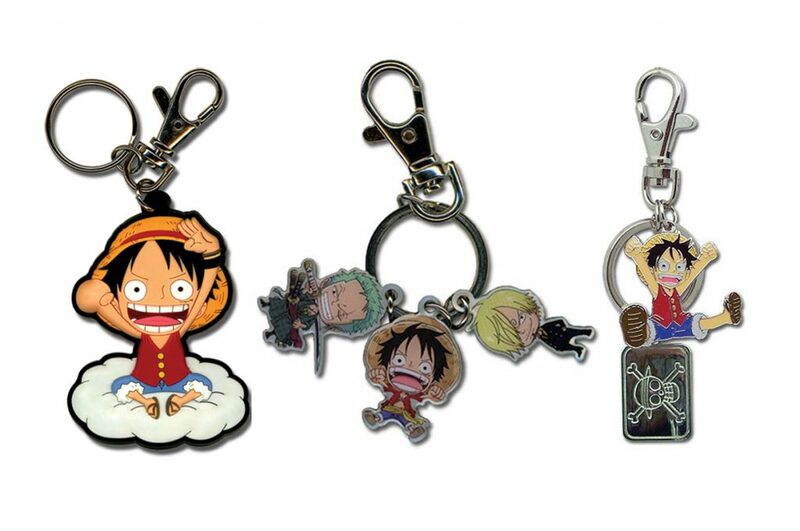 Here are some more great examples of REAL One Piece Luffy keychains! 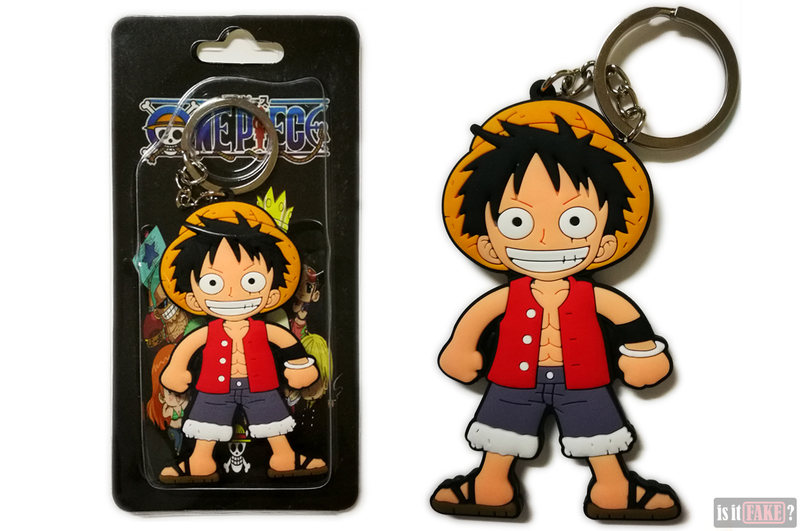 This fake One Piece – Luffy keychain’s inferior material and sloppy paint job make it a poor and unnecessarily delicate accessory. For these reasons, we give it a 70% terrible rating.